There’s been a lot of debate in Hollywood lately about whether straight actors should play gay roles. 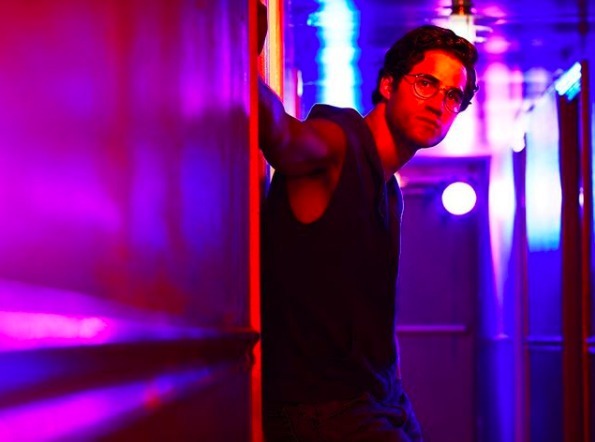 Darren Criss isn’t gay, but he’s established his career by primarily playing gay roles, like Blaine Anderson on Glee and Andrew Cunanan on The Assassination of Gianni Versace: American Crime Story. But he says his days of of going gay for pay are through. Related: Straight actor gets cast as Disney’s first openly gay role. Twitter explodes. Criss says it’s been a “real joy” to play so many queer characters, including Hedwig in the Broadway musical, but he no longer feels comfortable taking those sorts of roles. Asked if this means he’d never consider a Glee revival, Criss says “never say never,” but don’t count on it. He adds that if the show does come back, he hopes it features new actors. Oh Darrin, you’re gayer than pink tea and we all know it. The only one you’re fooling is your wife/beard. just because you want him to be gay doesn’t mean he is. MISTERJETT-hes clearly gay-he actually cant play straight! That’s not what he’s saying. SO many LGBT people have raised a ridiculous ruckus about how LGBT people should play LGBT roles that heterosexual cis actors are starting to be afraid to take these roles. What worries me is that in the end, LGBT people will wind up only being offered LGBT roles. That will harm the careers of LGBT actors. but you walk like talk like look like a duck you even quack—WTF are you? Darrin Criss not going gay for pay anymore. Ask me if I care? you cared enough to click onto the story, read it and make a comment. people who don’t care move on to something else after reading the headline. jerk!!!!! Yeah, sure. His agent has already had the talk with him about the danger of playing any more gay roles. He’ll be typecast for life if he does. There isn’t an actor on earth who needs a straight role more urgently right now. So coming out and expressing solidarity with dimwitted gay wannabe actors who think gay roles should be their preserve is transparently phoney and self-serving. The only reason for this would be to signal “stop sending me gay characters” to casting directors. Is he too fem to play straight roles? I think he is beautiful, regardless of fem/masc issues. It is definitely bizarre. I don’t find it funny. 11 year olds shouldn’t be performing at nightclubs. Straight actors historicaly played gay man in movies better then gay ones. Too many examples to bring here now. Queens overact and are just not good at playing homosexuals. Queens are not good at playing queens? Are you insane? you sound really stupid-theres not one example to prove your statement because once a role is played, dumdum…. I see people attacking him as though he’s made this decision to distance himself from gay roles, taking offense, to it etc. Yet on the other side are those who insist only LGBT people should play LGBT roles. Its getting to the point that with the LGBT community, our allies can’t win for losing and its ultimately going to bite us all in the backsides. Well, that’s partly because many of these “allies” are leeches and phonies. Also, I’m over this “ally” movement anyways. Can we please stop giving people aren’t hateful special and dumb names? Not everyone needs a title. Sure, but I’ve actually said quite a few things positive as of late. On the other hand, this is something I’ve been saying for years. Referring to people as “allies” is corny. Non-hateful people don’t need some special name assigned to them. And many of these “allies” are more about supporting their careers, stroking their egos or pushing their own particular agendas than they truly are about being anyone’s “ally”. @donston, for the sake of playing devils advocate for a second should it really matter more why a person is supporting our fights or defending our rights instead of it mattering that it’s one more person who IS supporting and defending us? Idk about you but I’ve met a hell of a lot of people in my lifetime who’ve had this attitude of “if it doesn’t affect me personally I just don’t care about it” so compared to that attitude I’ll take someone just going through the publicity motions of throwing us some support because there is a mutual benefit to it for them. Idk where u get this idea that people who are indifferent to us are being called allies cus everyone who’s ever been labeled an ally to us that I’ve bothered to look up has had some sort of thing they done to actively help our community and help our fights. Then again I’m of the belief that it shouldn’t always matter as much as to why your doing a thing instead of it mattering more that your actually doing that thing in the first place. And I agree with what zephyr said, our community is frequently wishy washy about its standards and what it will accept and what it won’t and even that changes regularly so it should be no surprise that the people who are trying to be our allies are struggling sometimes to keep up with our constantly shifting attitudes and standards lest they be called something horrific or have their entire reputation ruined by us. And I agree with zephyr about our community frequently biting the hand that feeds it, and I’m just waiting for the day it comes back at us and we’re up the creek without a paddle. Oh please. He’s straight? LOL. That boy is more queer than a $3 bill. Not that there’s anything wrong with that. There will be a day when he comes out and I’m sure Queerty will be there to share the news. Until then, he can be a straight and he can be. I’m so sure. A “Glee” revival? It’s a high school show. I actually ran into him with his then girlfriend (wife now?) once. He’s not gay at all. Also he’s tiny.